Ever since I made the switch to the smartphone three years (and four generations) ago, I’ve always carried around an iPhone. Granted, this doesn’t make me a special snowflake, but for all intents and purposes, I’ve been “that girl” with my phone. I don’t get every new upgrade or shell out big bucks on peripherals, but I do my best to stay informed and I’m an early adopter (and avid proponent) of many third-party applications that have made my life easier. But, for the first time, I’m experiencing serious remorse. Upgrader’s remorse, that is. While many were vehemently against upgrading iOS 6, I thought it deserved a fair shot. But now, I’ve encountered other problems, and it’s not because of Maps; they occurred while using that other Apple innovation, Passbook. Watching the keynote diligently, I grew very excited at the prospect and potential of Passbook. A majority of my current apps involve shopping in one form or another, and the idea of seamlessly swiping my Starbucks loyalty card while at the same time keeping my home screen free of extraneous apps made me giggle with glee. I should pause for a moment and indicate that because I am “that girl” with my iPhone, I always use my iPhone to pay for my grande soy caramel macchiatos because it never ceases to make me feel like I’m from the future. Anyway, as I sacrificed my beloved Google Maps and embraced Passbook, barrier one became readily apparent: what, no Starbucks? 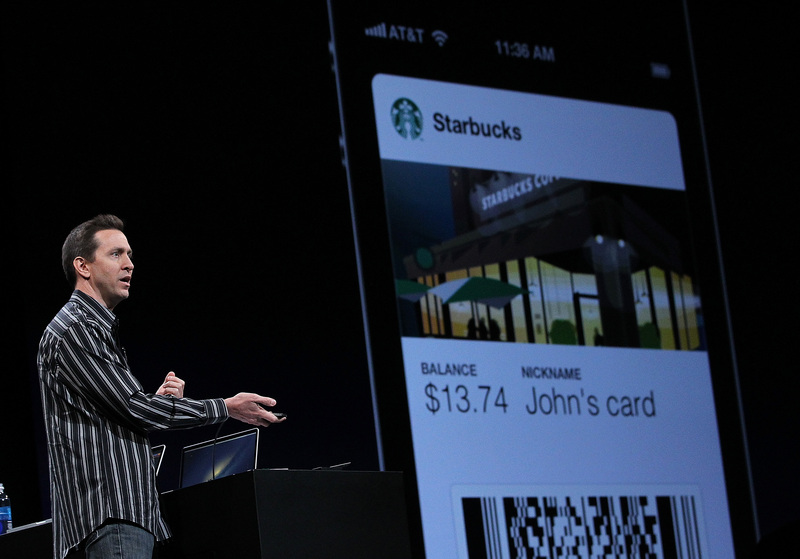 Despite the coffee giant making a notable appearance in the keynote, Passbook integration was nowhere to be seen on launch date. Incorporating my Walgreens and Sephora loyalty cards felt, well, lackluster, given their lack of currency exchange. I wasn’t interested in Passbook as a digital punch card: I wanted to buy things. However, my wait wasn’t long — I noticed within weeks that the update for my Starbucks app included Passbook integration. I happily downloaded it and planned on a purposeful trip to the outlet nearest to my workplace the very next morning. In fact, my trip was so purposeful that, in my ultimate moment of smugness and swagger, I chose to completely forego bringing my wallet and head down the block with only my phone in hand. I entered Starbucks, stood in line, and checked my balance on my newly-integrated Passbook Starbucks Card: $1.87. No problem, I thought to myself. I’ll just reload the Passbook card. Which leads to problem number one: although you can use Passbook to purchase and display the information on a card, you cannot add to it. While this is all well and good when dealing with Passbook outlets that don’t require currency — say a plane ticket or a loyalty card — the core functionality of a Starbucks card is more efficient when you use the card in a currency exchange. Operating (re: augmenting) that system on-the-fly, especially for a jerk who doesn’t bring a wallet to a Starbucks, is imperative. Instead, I did what any logically thinking user would do: I went back into the Starbucks app and utilized the embedded card reload feature. I tapped my usual amount of $10, entered the password of my Paypal account, and waited for the satisfying ding. So, as any logically thinking user would do, I began to troubleshoot. I tried the process again; no success. I tried it a third time, connected to wi-fi; no success. Then, midway through the fourth attempt, I stopped with a thought: Passbook. Sure enough, after I reloaded my Passbook, My Starbucks card read $41.87. Frankly, there’s no excuse for poor user experience, but poor user experience that costs money is really infuriating. Upon further investigation, it seems that once a user attempts to reload a card and is successful, the Starbucks app pushes the new card value to Passbook. But, that’s where it all ends. Passbook does not confirm a card upload independently, and it does not communicate back to a third-party app. It’s a dead space that costs users a lot of confusion and misunderstand — and, sometimes money. While Starbucks and its implementation are at fault, it points up the fact that the integration between Passbook and third-party developers is a weak link when said implementation isn’t done properly. This has been one of the benefits of Apple handling in-app transactions — there’s less confusion and potential for failure when the operating system developer handles the processing of funds, as opposed to thousands of different methods implemented by thousands of different developers. With Passbook, there are a number of steps the company can take to help protect users from these situations. If a proper digital currency transaction system is to be institutionalized within iOS, it needs to either offer options to manage the account or simply alert when a change has been made. Push notifications exist on iOS for a reason, and for the love of all that is holy, even Draw Something has incessant access to it. Apple needs to update Passbook to accommodate them so that you know when your balance changes. It’s a drastic hole in the experience of iOS 6, and a sign that the whole package was truly not read for prime time. Given that Starbucks was the headlining partner for Passbook at the iOS6 keynote, we all had a right to expect better. My favorite part of using Passbook? The satisfying swipe that shredded my card, allowing it to fade into digital oblivion.